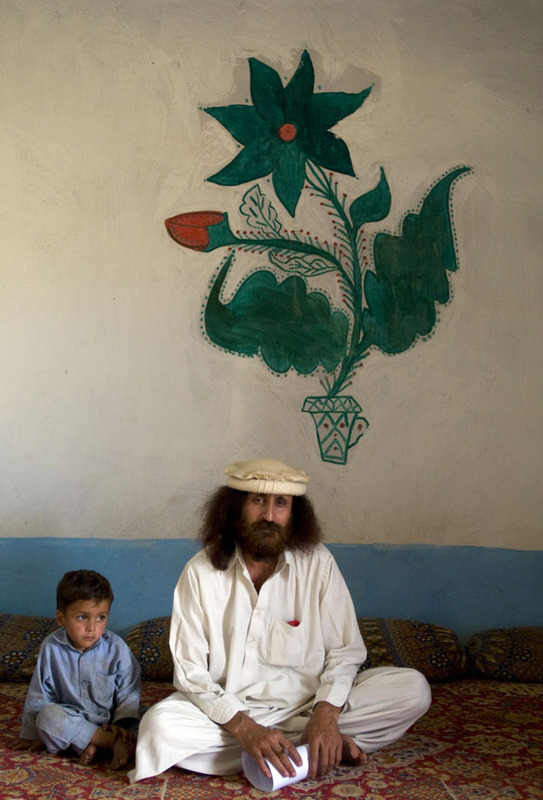 Bir Baba, (right) with his son Tarek(left), a Pakistani refugee who fled his village in Bajaur when he received a threat from the Taliban saying they would kill him if he did not leave. Bir Baba was the Malek, (tribal chief) of his village and is now the leader of a Pakistani refugee community which he set up on the edge of Islamabad, Pakistan. There are now 70 -80 undocumented refugee families living in this community.